Reliable source of Nokia information Nokia Anew informed us all via Twitter that the Nokia 8.1 selling in Russia isn’t an Android One device. HMD Global ships all (or most) of their global Devices with software that certifies the device to be a part of Google’s Android One program. That means that Google has to approve all pre-loaded apps and some design standards in terms of the UI need to be respected. We don’t know all the details of the Android One contract, but in short – Android One devices offer a cleaner version of Android, with some special perks like Digital Wellbeing, free unlimited photo uploads on Google Photos, etc. Российская версия Nokia 8.1 не вошла в программу Android One из-за особенностей российского законодательства. In Russia, Nokia 8.1 doesn’t run Android One, but comes with “regular” Android 9 Pie. My guess is that the system the 8.1 in Russia is running is more similar to Android Pie on Nokia 8, than on Android Pie for Nokia phones in China, that come with additional features. I quite frankly wouldn’t mind a “global” China ROM, considering features like longer screenshots, screen-recording, call-recorder, etc., come out of the box. The reason for Nokia 8.1 not being an Android One device in Russia could be related to an antitrust order that the local regulatory agency issued regarding Google’s restrictions of 3rd party search engines coming pre-installed on Android smartphones. The order in detail from 2017 can be found here. 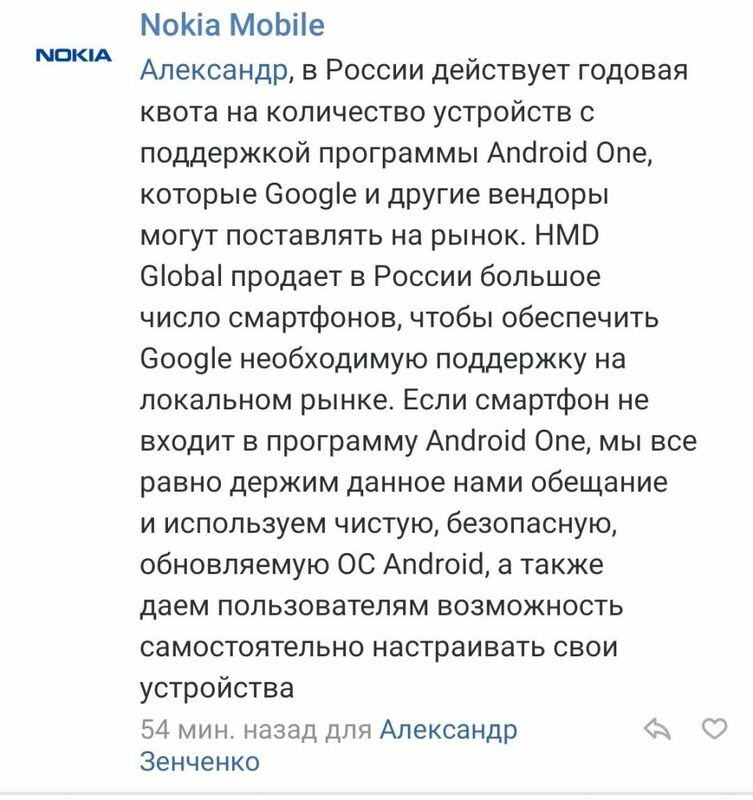 On Nokia’s official pages for Nokia 8.1 in Russia there is no mention of Android One, while on other regional pages there is. Does this mean that no Android One phones are allowed in Russia? I don’t think so, considering that Nokia 6.1 and 7 Plus are Android One devices in Russia. Maybe there is a new order issued or some kind of cap of Android One phones? I don’t want to speculate, so we contacted HMD Global and will update you when they respond. For interested Nokia 8.1 buyers in Russia, do check out the phone in store first, to make sure you can use a non Android One Nokia 8.1, because everyone besides China has an Android One version, so every review or impression of the device outside Russia isn’t representative for the local market. So, there is a cap on Android One phones in Russia, but HMD will still provide support and regular updates. It’s quite an interesting situation there.